A basic moisturizer will work well as a hydrator for the eye area, but if you want to do a little more (treat crow’s feet, reduce puffiness and dark circles), you’ll have better results with a moisturizer made specifically for the eyes. 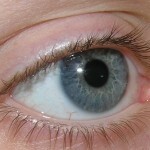 Skin around the eyes is thinner than the skin on the rest of the face so it is very sensitive. 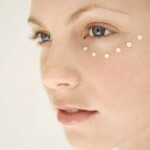 To avoid irritation, eye creams tend to have lower levels of active ingredients. 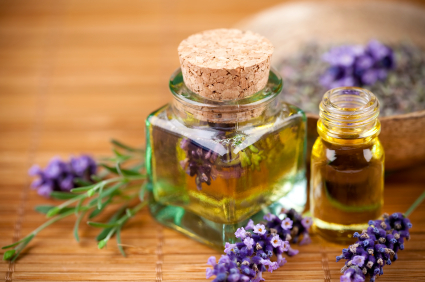 They also contain substances not found in face creams – caffeine to reduce puffiness, vitamin K to minimize dark circles, plus light diffusers and silicone derivatives to plump up crow’s feet. 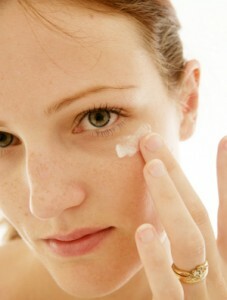 So the bottom line is this: use eye moisturizers for your eyes!